Make practice swings. 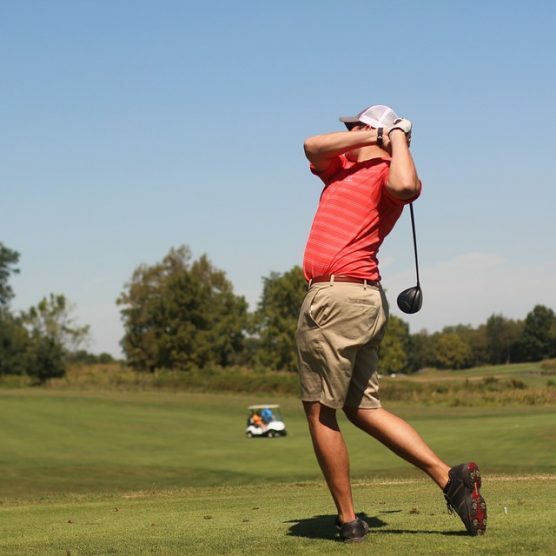 Incorporate practicing your swings at least once or twice before the real swing into your game. 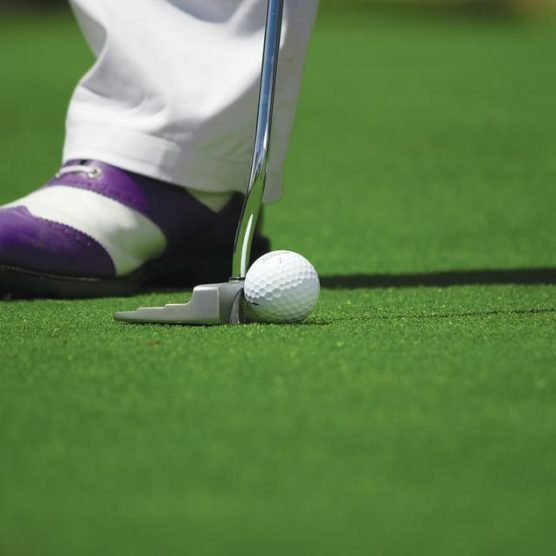 By practicing your swings, you will be able to get a feel for what the ground is going to feel like against your ball. Plan what club to use. 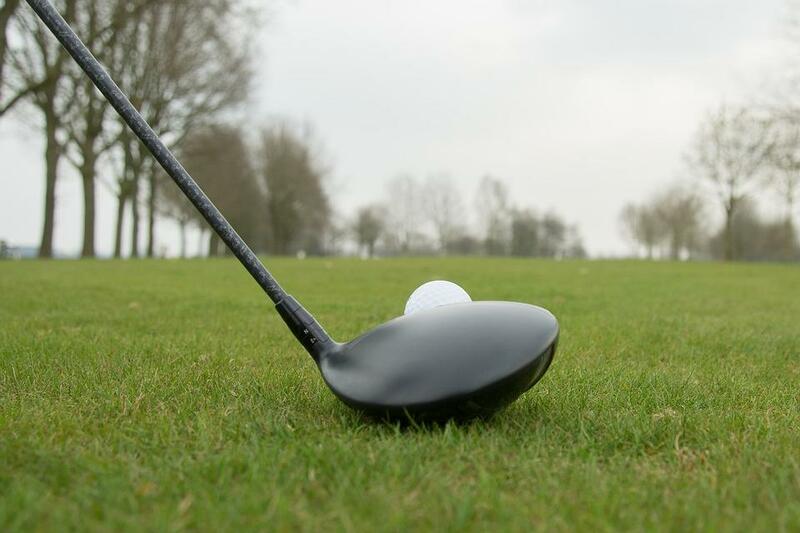 Take a look at your clubs and assess which one is the best to use. Once you finalize your pick, take time to visualize your shot and target, and how exactly you plan on hitting it. By taking this time to think through, you will allow for your mind to get into the zone to make it happen. Incorporate a mental routine. Pre-shot routines do not have to just be physical enhancements, but mental ones as well. Make a point to clear your head and focus on the shot in front of you. Stay positive and know what results you are expecting. Once you have your goals mentally set in place, you can implement them physically.